How much is spent in health care IT each year? Information technologies (IT) has changed the way we live and work. It’s streamlined the process of doing business worldwide. With the cost of health care rising, how much pain could IT alleviate for the health care system in Canada? According to IDC, Canada’s overall health care spending reached CAD $170 billion in 2008 and continued to grow. Less than 1% of that was spent on IT. Yet, one-third of emergency visits in Canada had an information gap that resulted in an extra wait time of one hour. In May 2008, the government of Ontario approved CAD $2 billion over three years to implement the information systems for the province’s clinical priorities. In September 2008, e-Health Ontario was created to align publicly-funded e-Health initiatives through a single point of accountability. With 40% of health care costs stemming from treating diabetes, heart and chronic disease, e-Health Ontario prioritized diabetes registries, drug information systems and other initiatives to reduce overall wait time in Ontario. 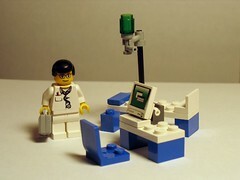 As of June 2009, Ontario had digitized approximately 30% of its patient records. To ensure a unified information system across Canada, the federal government created Canada Health Infoway (CHI), whose members included Canada’s federal, provincial and territorial Deputy Ministers of Health. To date, it has committed more than 90% of its CAD $1.6 billion funding to a number of areas including diagnostic imaging systems, telehealth and registries. At these numbers, customization and scalability become issues. Other obstacles included standards, metrics, compatibility, liability and privacy concerns. Fortunately, Ontario is jumping off with lessons learned from other provinces and countries. Hospitals with automated notes and records, order entry, and clinical decision support had fewer complications, lower mortality rates, and lower costs. Organisations and people who directly benefit from an initiative are often the most effective at executing the initiative. Automation in physician offices can lead to faster adoption of centrally-delivered eHealth initiatives. Projects that are driven by a top-down emphasis on technology development without a clear clinical business case will generate resistance, delays and cost overruns. Access to comprehensive and accurate patient information is the principal driver for adopting a clinical system. It is important to demonstrate early results based on comprehensive data sets. Initiatives that leverage standards and proven technology are often successful. A continuous improvement cycle should be applied to software, workflow, data quality standards and reporting. Patients and physicians are highly interested in the content of electronic medical records and in tools that enable interactions with other physicians. Initiatives that demonstrate clinical value will be supported. Initiatives that do not have clinical adoption as a goal from the very beginning will fail to be adopted by clinicians.